Another tasty way of eating sauerkraut. Sauerkraut is lacto-fermented so shouldn't contain vinegar! Our sauerkraut is raw and real! Make a dressing by combining the sugar, olive oil and paprika powder. Mix really well to dissolve the sugar. Add together the sauerkraut, sliced tomatoes, cubed sheese and the olives. Add the dressing and combine. 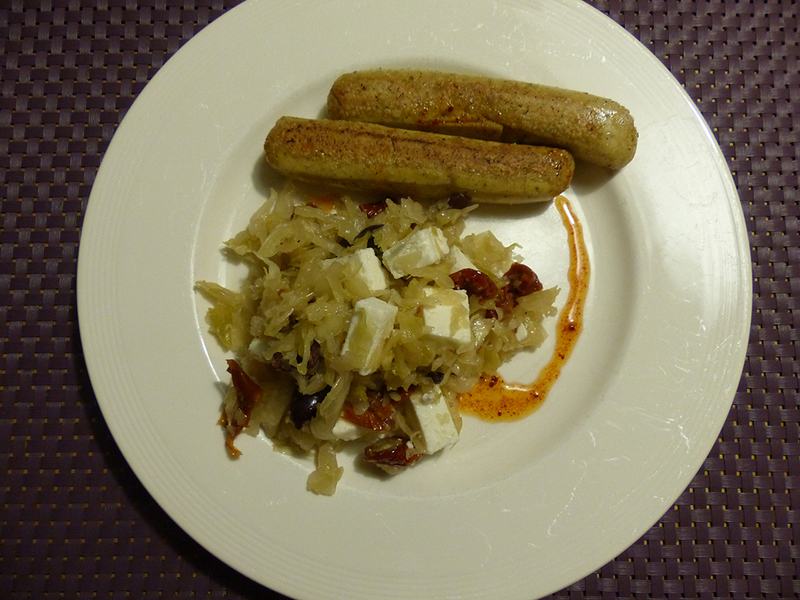 Serve with parsley on top and vegan sausages.